Do foreign companies not have the best interest for India and Indians? Should we look towards China for their style of economic growth? Should we go back to the days of Protectionism? Do we really need support from government to do well or are we capable enough to handle all conflicts and volatility? In India, while our constitution speaks of becoming a “Socialist” economy, it’s been a while we have been capitalistic in our approach towards business. The first step in this direction was when our Industrial Policy was revamped in 1985, followed by the LPG in 1991. Two and a half decades of working towards liberalizing and globalizing the economy, can it be unraveled by the demands of certain insecure home-grown organisations? I doubt it. And where has it been written or ever been observed that a company that’s protected performs the best? If that were the case, India would have become the best agricultural producer in the world and those working in our agrarian sector would have become the richest. So what left Sachin and Bhavesh flustered? 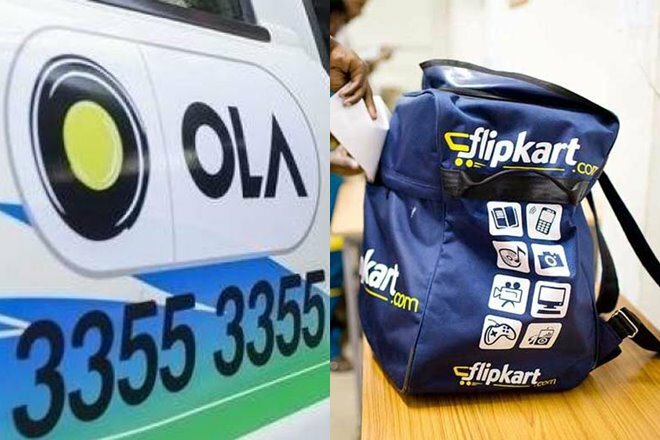 Bhavish Agarwal, CEO and Founder, OLA Cabs and Sachin Bansal, Founder and CEO, Flipkart, came together at a recent Carnegie India Global technology Summit to make a nationalistic appeal and urged the Indian Government to design policies which will favour homegrown companies. In the words of Flipkart Founder, “What we need to do is what China did (15 years ago) and tell the world we need your capital, but we don’t need your companies”. OLA and Flipkart are the harbingers of new generation business, which has propelled the FDI inflow in India, most of which is in the e-commerce industry. The two companies have been growing on the basis of funds that have been pumped in by many multinational funding agencies and venture capitalists. Their business model has failed to bring in profits for their respective investors. Ola posted a loss of Rs 418.25 crore on a net revenue of 754.87 crore for 2014-15. Flipkart posted a loss of Rs 1,932 crore on an estimated net revenue of 1,200 crore for the same period. VCs have started questioning the business model and stability of these companies. Frankly, the two companies are facing severe problems in logging faster growth rates because of the presence of Amazon and Uber. Traditional businesses often with a gestation period of 3 to 5 years are able to turnaround their business with profits and an IPO plan. Unfortunately these two companies are still unable to strengthen their foothold in their respective businesses. That has left them gasping for breath and crying out for protection. I think they know they will fail if they do not push the envelope! Predatory pricing has never really helped any company win the battle, and these two will have to come up with a better strategy. Let’s hope that they pull up their socks and, just for the fact that they are Indian companies, they will be able to turnaround their business and chart a historic win atleast in India. They need to learn from a Patanjali which is beating MNCs in India hollow! Happy Feet – Go on...Love your Walk!